There’s been a bit of Internet chatter lately about the Charlie Hebdo and Porte-de-Vincennes attacks as false flag operations by intelligence agents eager to poison relations with France’s Muslim community and pave the way for deeper intervention in the Middle East. 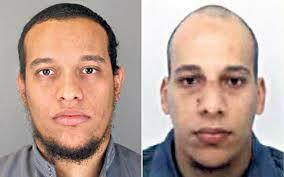 After all, the French police had the Kouachi brothers under surveillance for years, one of them (Chérif) had been arrested for attempting to bust an Islamic militant out of jail, while Amedy Coulibaly actually met with Nicolas Sarkozy in 2009. So who can’t help feeling a mite suspicious? The fact that all three have since been “liquidated” seems to clinch it for certain types of conspiratorialists. Since dead men tell no tales, it seems we will never know who really put Coulibaly and the Kouachi brothers up one of the most sensational crimes since 9/11. But there’s a problem with scenarios like this since they assume that intelligence agencies are masterminds effortlessly manipulating events behind the scene. But as we know from repeated intelligence foul-ups from the Bay of Pigs to the Edward Snowden affair, these people are the kind of royal screw-ups who couldn’t put together a two-car funeral. Not that it’s entirely their fault, though. The real incompetence lies further up the food chain where imperial leaders have promised different things to different people and are in quandary now that the bills are coming due. Islamic State would take over its first major Arab capital, and recruitment would skyrocket. Alawites and other minorities would flee, further stressing neighboring Lebanon and Jordan, which are already burdened with refugees. Syria, moreover, would turn into a launching pad for attacks on neighboring states — Israel, Lebanon, Jordan, and most especially Saudi Arabia, a nightmare society that I think is just an inch or so away from collapse. So Miller is correct – the idea of an ISIS state in the middle of the Levant staggers the imagination. But while he’s right about ISIS, he’s wrong about Obama. Rather than leaving Assad in place, the U.S. has merely decided to kick the can down the road, putting off his removal to some future date when Washington will be in a better position to dictate the terms of a post-Baathist government and see to it that a compliant pro-American (and pro-Israeli) regime takes control. In other words, Syria is a safe haven for ISIS, a place where it can regroup and expand its territorial control, as Nissenbaum makes clear. The article adds that “U.S. strategy in Syria is also constrained by a reluctance to tip the balance of power toward Syrian President Bashar al-Assad, who is fighting Islamic State and other rebels.” Washington wishes ISIS would leave its client government in Baghdad alone, but at the same time it wants ISIS to keep the heat on the Baathists in Damascus. It is thus using ISIS to keep Assad on the defensive — to soften him up until the time is ripe to finish him off. Although some might see this as some sort of fine-tuned policy-making, it’s really a case of driving with one foot on the accelerator and the other on the brake. Obama is torn. He’s frightened of what will happen if Assad goes and frightened of what the Republicans and Hillaryites will say in Washington — not to mention the Saudis in Riyadh — if he stays. So his response is to straddle, allowing ISIS to enjoy a little R&R in Syria, leaving Assad in office in Damascus a little while longer, and promising to train some 3,000 “moderate” rebels under Saudi auspices to insert in the Syrian battlefield as soon as the right moment comes. But the results are disastrous. ISIS is growing stronger, the addition of several thousand Wahhabist troops can only add to the combustibility, while the violence continues to overflow into other countries — as the recent carnage in Paris shows. The idea that the violence can be contained in Syria is ludicrous. When veterans of the Saudi-backed fighting return to their families, they do not leave their jihadist doctrines behind. To the contrary, they take them with them. The upshot has been a growing “Syrianization” of the banlieues complete with radical imams spewing hatred at all and sundry, extremist camps and schools, and ISIS-style attacks on everyone from freethinkers like the Charlie Hebdo cartoonists to religious minorities like the Jews. Yet François Hollande is just as paralyzed as his mentor Obama, declaring war on Islamic fundamentalism while at the same time siding with the Saudis, the ultimate jihadist state, in its efforts to overthrow one of the few secular regimes left standing in the Middle East. The civil war can only intensify in its latest venue. Although Chérif and Saïd Kouachi never got an opportunity to fight in Syria and Iraq, they reportedly rubbed shoulders with mujahideen who did. But Chérif did succeed in traveling to Yemen, an other war-torn society in which the U.S. is also playing both sides of the fence, i.e. bombing Al Qaeda militants while at the same time joining with the Saudis in backing local Wahhabists in their fight against Shi‘ite insurgents known as Houthis Since Wahhabists and Al Qaeda are often difficult to tell apart, Saudi money has wound up flowing to both, with little or no protest from the Americans as far as anyone can discern. Benefiting from both U.S. and Saudi largesse, Chérif Kouachi used the money and training provided by the Wahhabists and Al Qaeda to assemble his little venture against Charlie Hebdo. This doesn’t make it a black flag operation, but, rather, a classic case of blowback. After financing Islamic-fundamentalist violence in Yemen, Iraq, Syria, and numerous other placesl, the U.S. and its allies can hardly be surprised that it is now washing up in Paris.